One of my favourite lipsticks from the luxury end of the spectrum is the gorgeous 'Rouge Allure Velvet' by Chanel in a gorgeously pink shade called 'L'Exuberante', yes I know, so very ooh la la. I wore this lipstick for the first time today and I have fallen completely head over heels in love with it. When applied the lipstick has a velvety soft texture on the lips, it just oozes luxury. 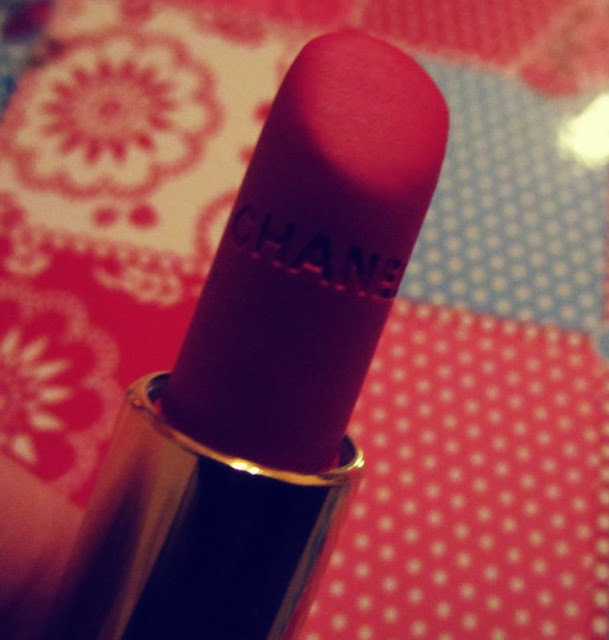 The colour really makes lips look juicy and pout perfect. The 'L'Exuberante' shade is fabulously feminine, truly one for the girlie girls. A great feature to this lipstick is the 'click in, click out' stick, it makes sure that you'll never accidentally smudge the top of your lipstick into it's lid. It actually reminded me of a James Bond type gadget but for the ladies. I absolutely love it. 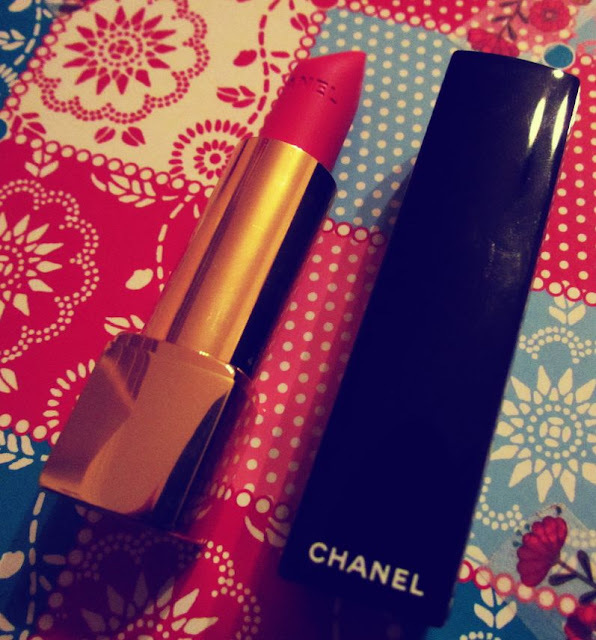 The lipstick gives a great moisturising effect to the lips also, perfect for the harsh winter months. I think this particular hue can be worn all year round as it would look equally good on tanned skin as it does pale skin. As you can see from the pictures the lipstick really enhanced my lips. I shall definitely be investing in this lipstick again as soon as it's gone. I know it's quite pricey at €25.00 but it so worth it. This has to be one of my favourite luxury cosmetic items of all time, I can't stop applying it, it just feels and looks amazing! 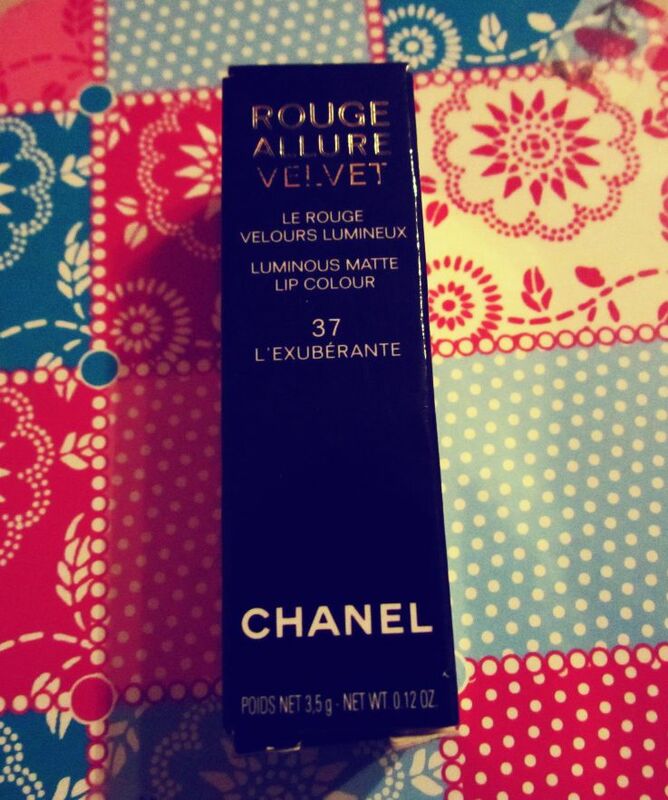 I would fully recommend this lipstick to anyone.